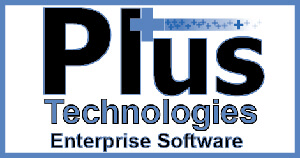 The people of Plus Technologies take pride in our efforts to bring customers the best products in the industry. We strive to produce Advanced Print Spooling, Document Delivery, and Printer Management tools that deliver information on time, all the time. “We love your OM Plus My-Print-Delivery” system. It is really cool and we are very excited about it”. “I wanted to take a minute to thank you for your exceptional work upgrading our Production (and Dev) printing world. By performing a test upgrade on the Dev server, then managing the load balancer and special queue routing, you were able to upgrade the production servers without any outage to our customers. “OM Plus works flawlessly and it is a pleasure to work with your support team”. …we are very fortunate to have OM Plus in our environment. The payback for the purchase has been tremendous.